"Enthralling-- full of 'aha' moments about why some ideas soar and others never get off the ground. This book picks up where The Tipping Point left off." "What makes one song hit, and another, flop, one book a success and the other, fodder for the discount bins? That's the mystery Derek Thompson probes with his characteristic verve, wit, and insight in "Hit Makers." It's an engrossing read that doesn't settle for easy answers, and one that seems destined to become one of the hits that Thompson so deftly analyzes." "I always read everything by Derek Thompson I see, and this book was no exception. 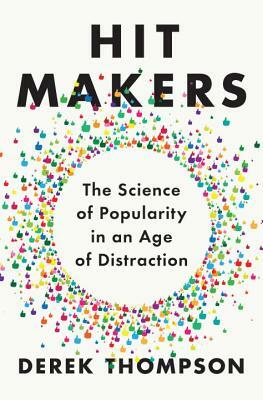 Why things become popular is one of the most important questions in an ever-more networked world, and Derek Thompson's *Hit Makers* is the best and most serious attempt to take a look at it."